After visiting the Basilica of Quito, we strolled through a small neighbourhood park with some kids at the playground. The school holidays end in two weeks, so these kids were making the most out of it! My teacher-guide remarked that fewer kids frequent the playgrounds these days – many prefer to stay home instead and watch TV or play computer games. The same thing is happening in Singapore (and all over the world, I’m sure), and it’s a real pity. 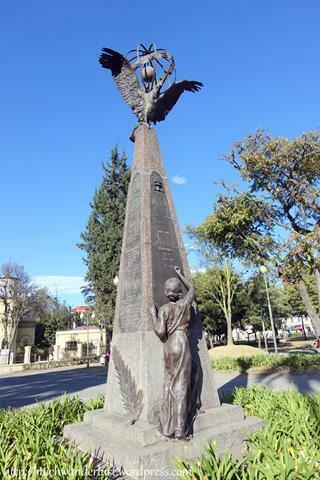 Near the park, you can find this Incan monument. It goes too deep under the ground to be moved, and now it’s apparently used as a poo spot by dogs. You can find these at a number of strategic locations all around Quito. 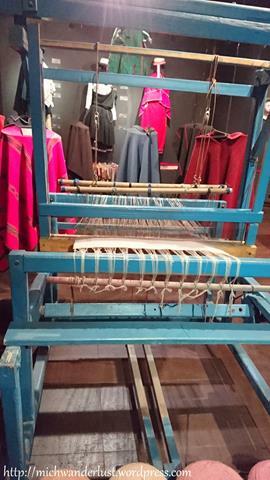 Some believe that these have helped Quito withstand the numerous earthquakes that have shaken the city since its inception. 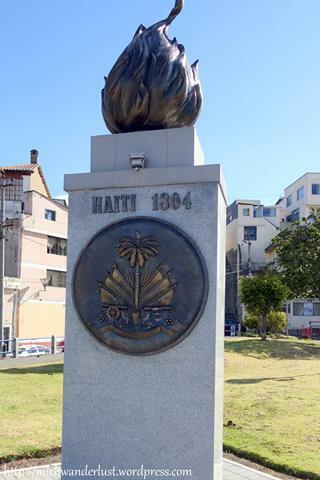 A little further on, we came to the Park of Haiti. There are parks of various countries all over the city! This one is next to a former hospital for TB which is now an art museum. 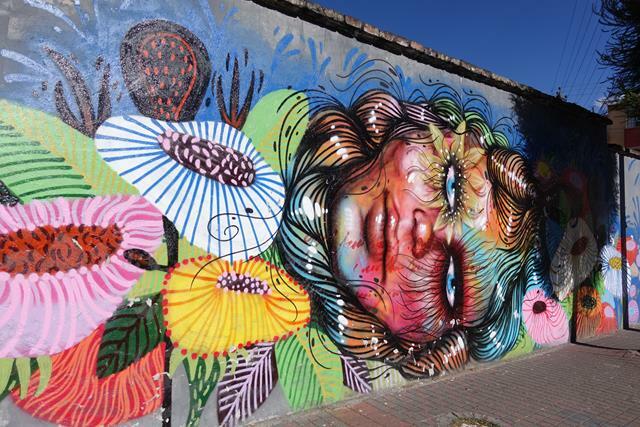 A little further on, we came across some really nice street art. 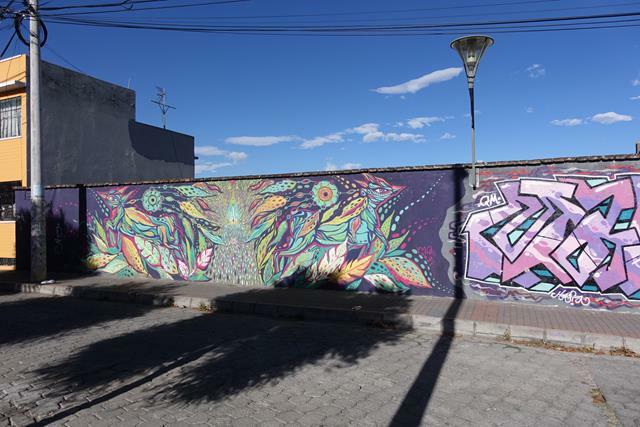 There’s plenty of graffiti in Quito (including in tourist attractions like the towers of the Basilica) – most of it just people scrawling their names and stuff. This was different and I loved the way it brightened up the street! 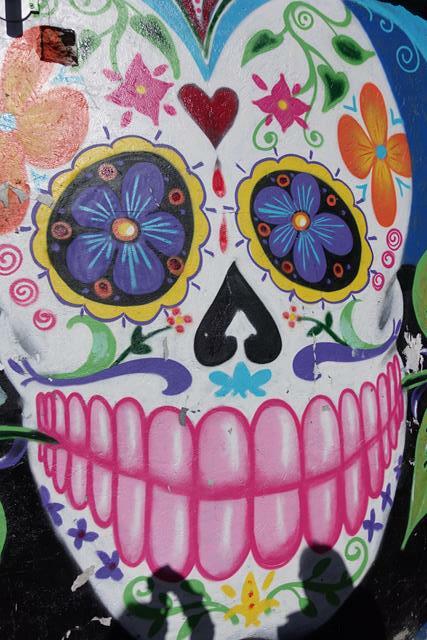 Ecuadoreans celebrate the Day of the Dead on 2 November (like Mexico), but slightly differently (without the skulls etc. ), so this could be a reference to the Mexican version? I have no idea. On the Day of the Dead in Ecuador, they eat ceremonial foods like colada morada (a deep purple porridge) and guagua de pan (bread shaped like a baby or guagua). (Guagua is from Kichwa.) The indigenous people and the mestizos celebrate it differently – for the indigenous it’s a more joyful occasion but it’s a sad one for the mestizos. 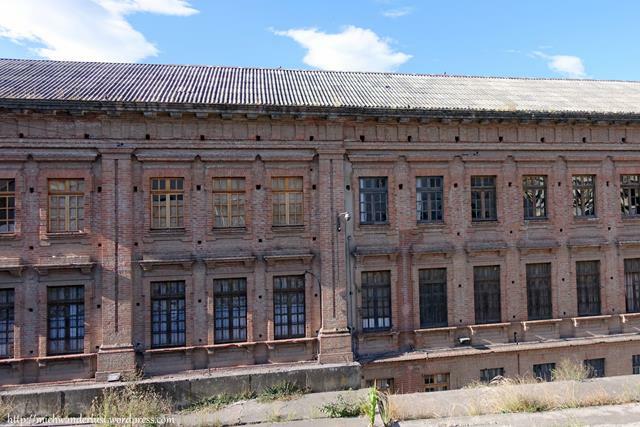 Below is a school, one of the most traditional in Quito, called Mejia. 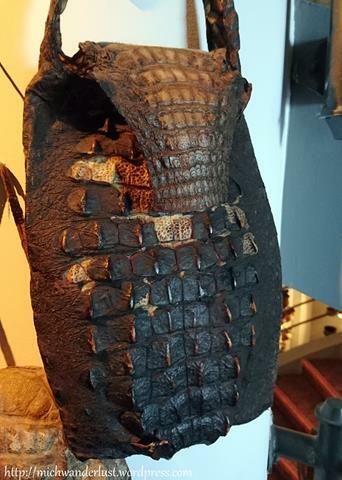 It was founded in 1897 – can you tell? It used to be a boys-only school but now girls can attend too. 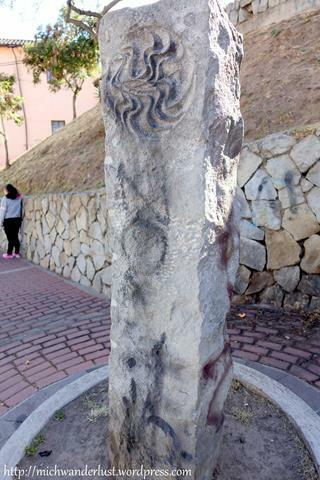 A little further on, we arrived at La Parque Alameda, a charming little park which is shaped like the tip of a spear. a memorial to the French Geodesic Mission to Ecuador in the 18th century. The Mission was to measure the roundness of the Earth, and GPS now tells us that they were about 200m off from the actual equator. That’s not too bad, I think, considering what they had to work with! 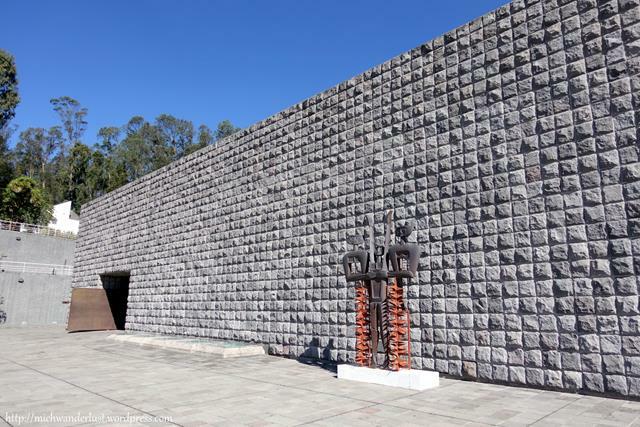 The next day (Tuesday), I visited the amazing La Capilla del Hombre (Chapel of Man), an art museum founded by the famous Ecuadorean painter Guayasamin, with another teacher-guide from the school. 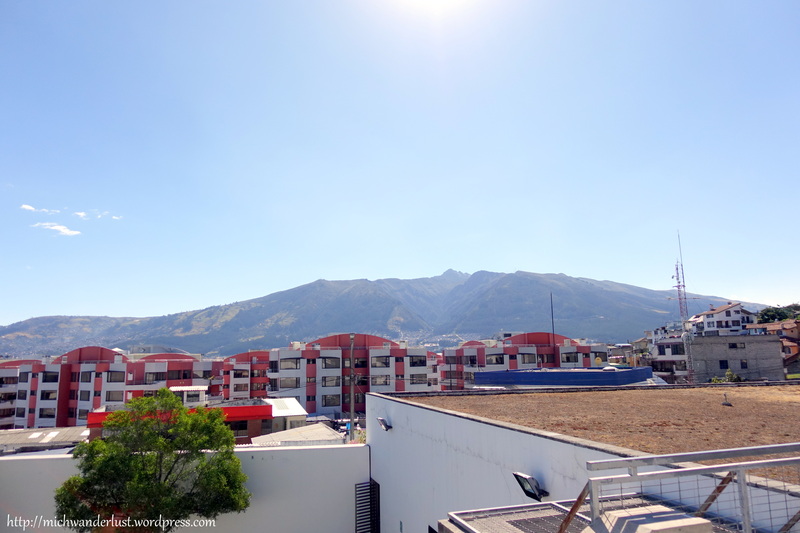 It’s in the northern part of Quito, in a neighbourhood called Bellavista (beautiful view). We took a bus from the Old City which took about 40 minutes but was only 25 cents. Lots of visitors just take a taxi, it seems. The view from the museum is beautiful indeed! You can see parts of Quito and the surrounding mountains. Photography isn’t allowed inside the museum but I think it’s well worth the journey. It’s a showcase of Guayasamin’s work – mostly from his second and third collections, which are about the cruelties and injustice of war, poverty, oppression, etc., and a tribute to his mother and all mothers around the world, respectively. 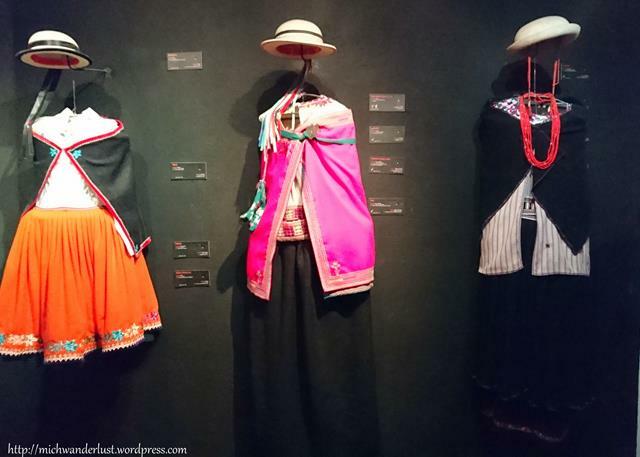 He travelled from Mexico to Patagonia from 1944 – 1945, visiting small towns and villages along the way and this resulted in his first collection (of which few remain in Ecuador). His style is very distinctive and I really liked the way he used his art to make statements. You can see his humanist philosophy in the art and the various quotes from him around the museum. After the museum, we visited his house which showcases his massive collection of pre-Columbian and colonial art as well as some of his own works, including portraits he did of famous people. Look out for the Tree of Life, under which he and his best friend are buried! Admission: $8 for adults. Discounts available for students and older people. Free for children up to 12 years old. A guided tour (in Spanish, English or French) of both the house and the museum is included in the ticket price. 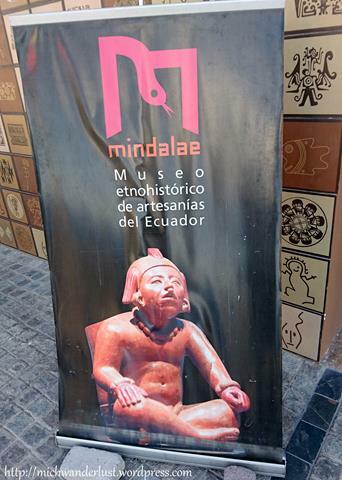 On Wednesday, I visited Mindalae – Museo Etnográfico de Artesanía de Ecuador. It’s run by a foundation (Fundación Sinchi Sacha) with the goal of raising awareness of and promoting indigenous culture in Ecuador. 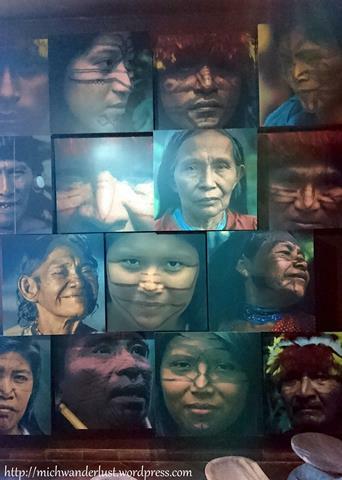 There are over 20 distinct indigenous groups in Ecuador today, so it’s no mean feat! Possibly my favourite section was the one on traditional costumes. 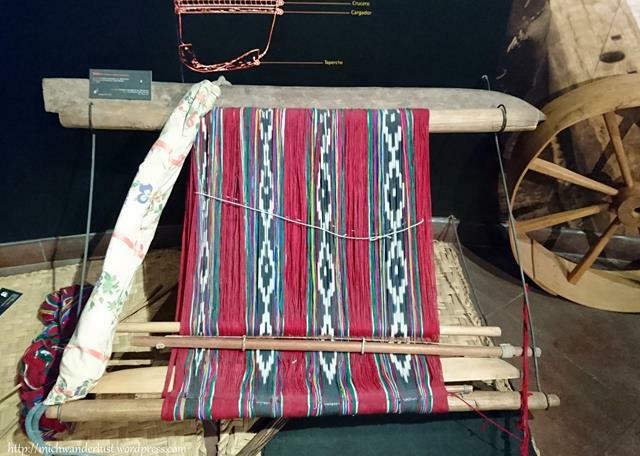 A smaller weaving machine, which bears an uncanny resemblance to the ones I saw in Chiang Mai earlier this year. Don’t they look similar? How remarkable, given that the two countries are halfway across the world from each other! On the right are baskets used by people in the mountains (although not so much anymore). 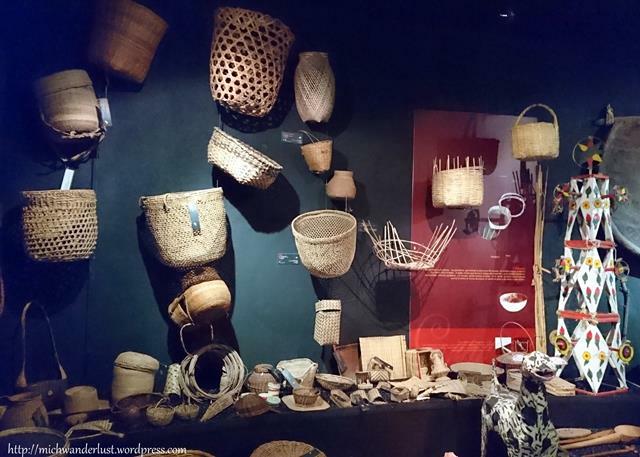 On the left are baskets used by those on the coast. The holes allow fishermen to just plonk fish in without having to worry about draining the water. It’s sad that these baskets are being (or have been) phased out – think of how much plastic would be saved if we reverted to using these baskets to go grocery shopping! 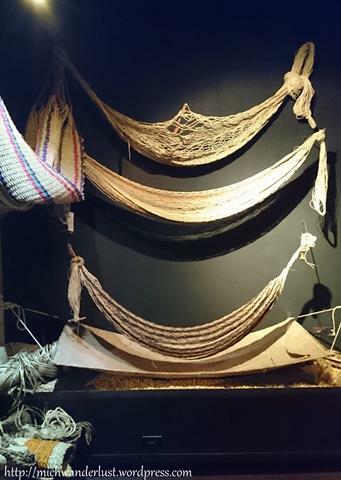 There’s also a difference in material between hammocks used in the mountains and those used on the coast – the coastal versions allow air to pass through more easily. The picture below shows the coastal versions. I was amazed at how sophisticated the ancient civilisations were. 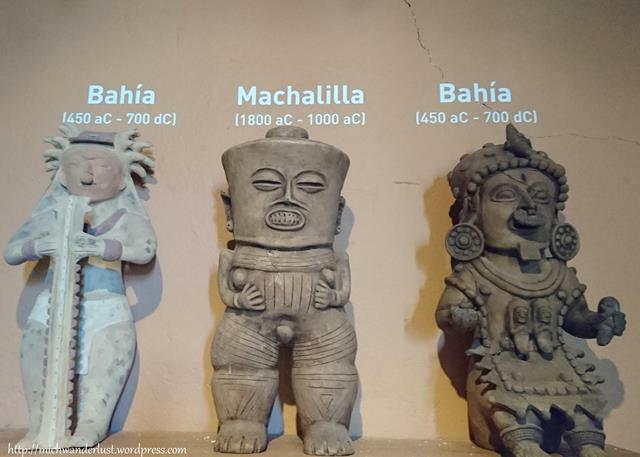 The Bahía (450BC – 700AD) and Machalilla (1800BC – 1000BC) civilisations were located in what is now the coastal province of Manabí. Fun fact: Manabí is also the home of the so-called Panama hat, which didn’t actually originate in Panama. Even though it’s fairly small, I think this museum is well worth visiting, not least because it’s a very worthy cause. 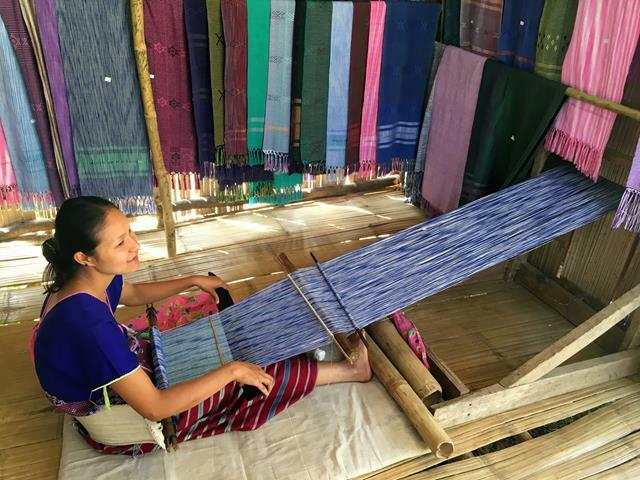 The foundation is working with indigenous groups to preserve and promote their traditional crafts, and you can find their handiwork for sale in the gift shop. I didn’t get anything because I don’t want to lug it around for months, but if I’m back in Quito towards the end of my trip, I just might!